As a detailer, being able to restore paintwork is a vital skill. However, there is little point having the exterior of a vehicle in ‘as new’ condition if the interior leather is faded, cracking, ripped, torn or stained. 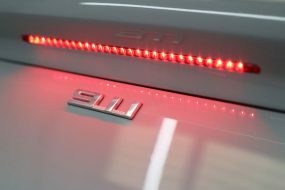 Whilst modern automotive leather has been specifically treated to increase its longevity and to make it more durable, it still requires care to maintain its appearance. Aniline, the most natural and expensive leather is porous, more difficult to maintain and is therefore not commonly used in car interiors. Semi-aniline leather has a thin layer of colour applied, giving it increased resistance (compared with aniline leather) to staining. Pigmented leather is sprayed with a dye and then coated with a clear lacquer to improve resistance to staining, UV, etc, making the finish more durable and easier to maintain. Most car leather falls into this category. Prior to the 1970’s, leather was tanned using vegetable dyes which gave it a brownish hue. The process took around six months. Since the mid-1970’s, chrome tanning was introduced, using chemicals instead of vegetable dyes. This accelerated the process, reducing the time taken to tan from six months to a couple of weeks. The rate at which leather shrinks and hardens is dependent on the type of tanning process used: vegetable tanned leathers will be affected at much lower temperatures than those tanned by chrome methods. 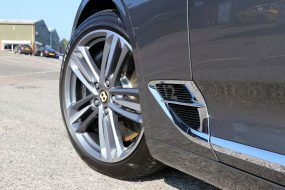 Luxury car marque, Bentley sources leather from Germany where fields are bordered by wooden fences rather than barbed wire as is more commonly found in the UK. As a result, hides from Germany are less likely to feature scars from contact with barbed wire. Whilst most leather interiors are made from cow hides, other more exotic materials are sometimes used. Bugatti, for example, has an Ostrich leather option! 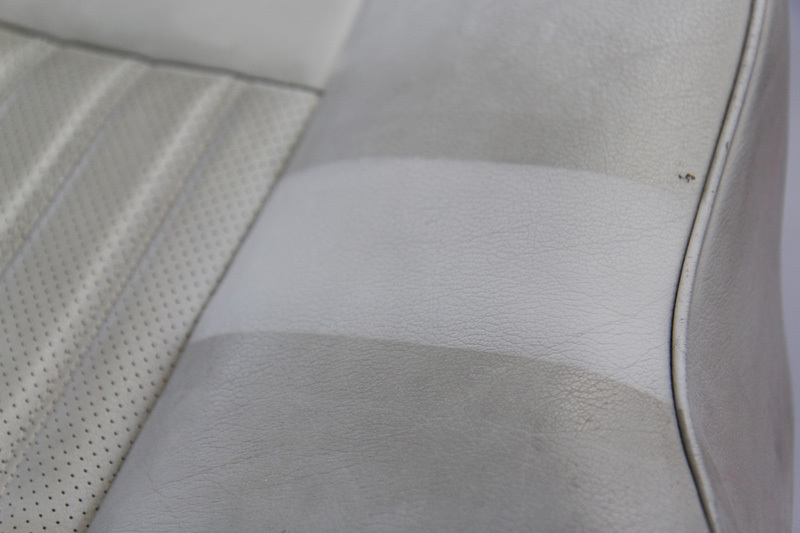 Automotive leather interiors are subjected to a lot of abuse and can become stained with accidental spillages, body oils, sun creams, sticky foods, mud, etc. UV rays can cause the leather dye to fade, the material to dry out and become cracked. Repeated entering and exiting the vehicle causes abrasion and wear on areas such as the driver’s seat and bolsters. Eventually, leather can become worn through or even ripped. 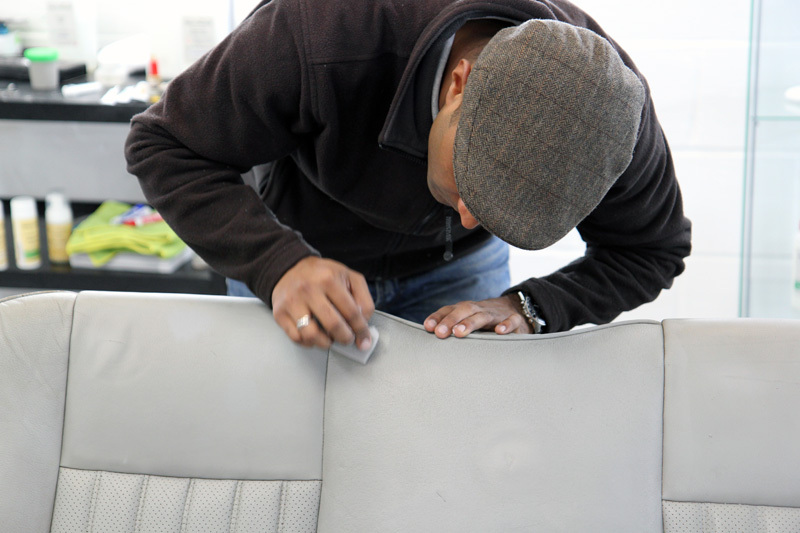 For a detailer, being skilled in the art of leather repair is a valuable addition to their service portfolio. 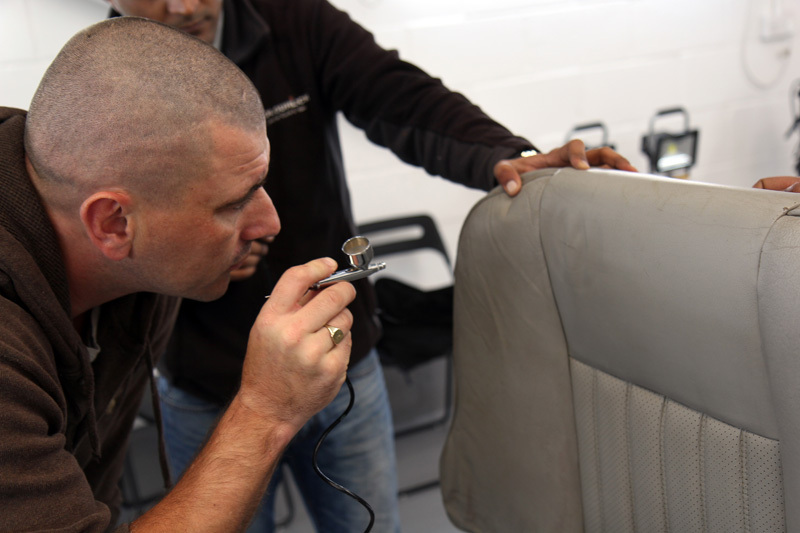 Recently, in partnership with Colourlock UK, UF hosted a training event at their Brands Hatch detailing studio. 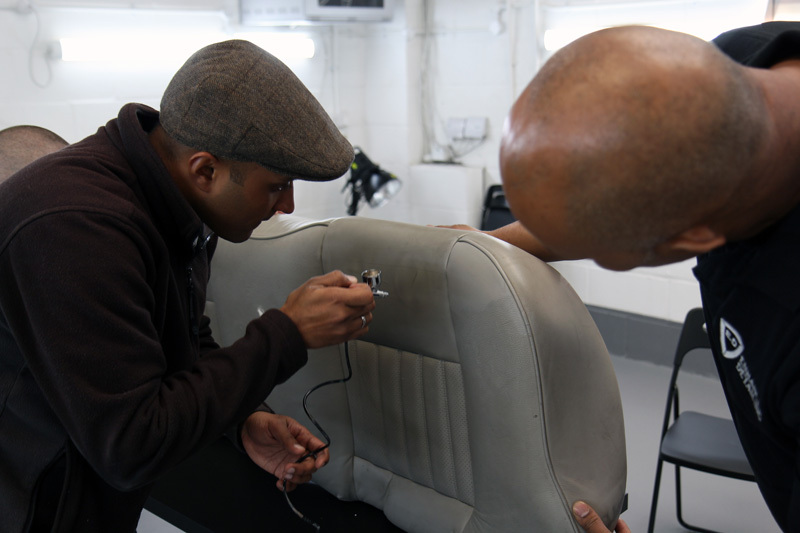 Delivered by Colourlock UK Managing Director, Ram Iyer, the event was designed to provide professional detailers with the knowledge and techniques required to enable them to provide a full-service leather care and repair option to their customers. 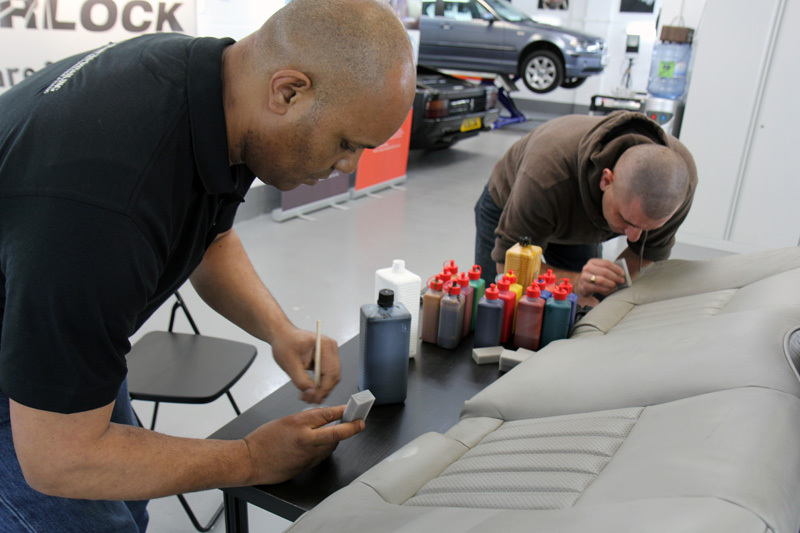 Colourlock is a market leading manufacturer of specialist automotive leather cleaning, leather care, leather repair and leather protection products. Using the latest technology, their range is made from high quality, non-toxic ingredients and designed to provide an effective solution for the total care of automotive leather interiors. The day began with Ram discussing the different types of leather and how automotive leather is manufactured, followed by an overview of the Colourlock range and then a demonstration of the cleaning and conditioning process. 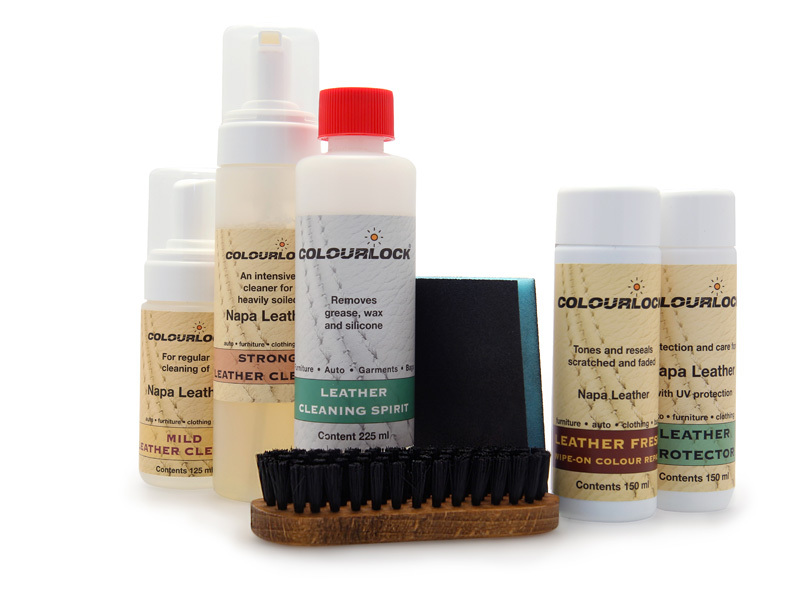 Colourlock’s range includes a Leather Cleaner in both Mild and Strong versions. The Mild is strong enough to remove all but the heaviest soiling. For stubborn stains, Colourlock GLD Solvent can be used. 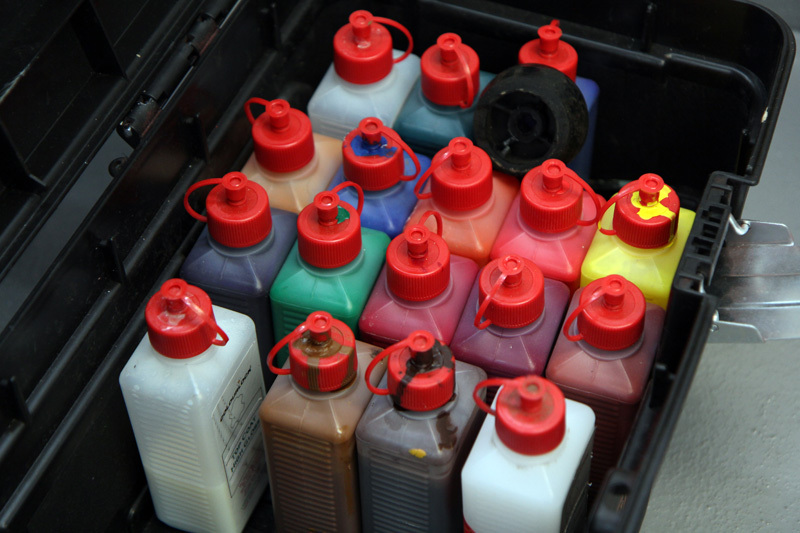 Solvent-based, this is strong enough to remove dye staining (from dark suits or denim) and even biro pen marks! Modern automotive leather has typically been coloured which reduces its porosity and then lacquered to protect the colouring. This further reduces its porosity. As a result, leather is best maintained by being cleaned regularly and then conditioned with a light moisturiser or abrasion resistant coating. The leather is better able to absorb a light moisturiser – a thicker cream will simply sit on the surface, end up sticky and will attract dust and dirt. This contamination combines with the cream to form an abrasive paste. Additionally, as the cream cannot be fully absorbed, it can cause the leather to look patchy, where some areas have taken in more of the cream. 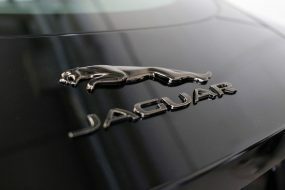 An abrasion-resistant coating such as Colourlock Leather Shield, will repel dust and help to prevent scuffing on the high-traffic areas as people slide in and out of the car. After a break for lunch, the day progressed on to leather repair. Older leather that hasn’t been properly maintained or has been subjected to a lot of use can often become ripped or torn. 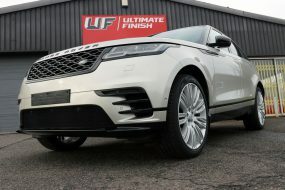 Additionally, if the vehicle has been stored primarily outside, it’s likely to have suffered UV damage which weakens the leather fibres, dries them out and causes wrinkles and cracks. Colourlock has products that allow detailers trained in their use to fill these cracks, or replace torn areas and then match up the grain to blend the replaced patch. Also covered during the course of the day, was recolouring. 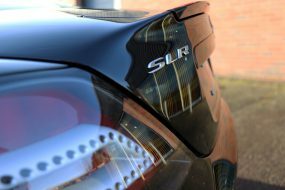 When vehicles are stored predominantly outdoors, UV rays will fade the colour from the leather, with black and dark colours being most affected. Additionally, repeated rubbing can cause the leather to lose colour and the overall effect is to make the interior appear tired and lacklustre, which of course can drastically reduce the resale value. The leather is first cleaned with Mild or Strong Leather Cleaner. Then, the material is degreased using Colourlock Leather Cleaning Spirit and allowed to dry. The area is lightly sanded and a clear primer applied which will allow the dye to settle better into the leather grain. The leather dye is then applied. 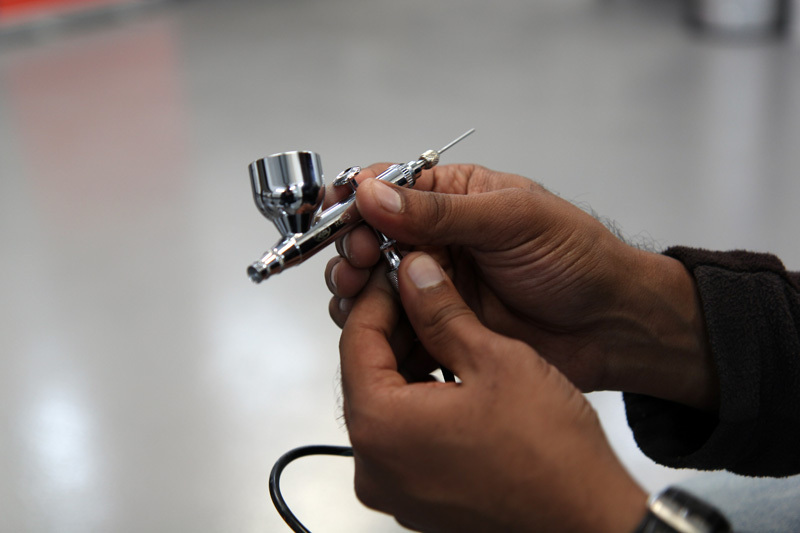 Whilst this can be done using an applicator sponge, the best results are obtained using a spray gun. This allows the dye to be applied in a thin layer and several layers should be applied. Between applications, each layer should be allowed to dry. This process can be accelerated using a heat gun or hairdryer. At the end of the training session, attendees were invited to colour match and mix their own dyes. Colourlock Training is just one of a selection of events offered by UF in conjunction with leading manufacturers. Details of upcoming events can be found under the Training Days section of the UF website.